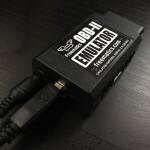 We put well designed or picked components into a complete kit and have developed ready-to-go Arduino sketches for them. 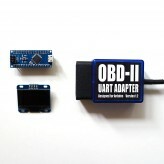 This is an open-source Arduino development kit working as a GPS data logger and tracker. It includes.. This kit is based on Freematics Esprit, the Arduino compatible ESP32 dev board, together with 1.3" O.. This kit contains basic components needed to put up a device that can read vehicle data and display .. 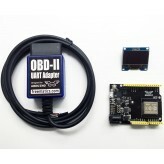 This is a cost-effective Arduino compatible development kit designed for vehicle telemetry projects .. 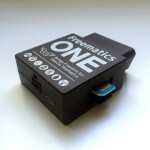 This Arduino based DIY kit is ideal for putting up a customizable vehicle telematics data logging de.. 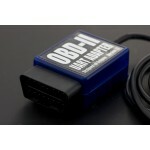 This kit can put up a comprehensive data logging device which logs vehicle OBD-II data, GPS data and..